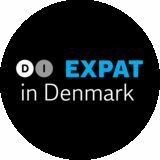 Moving to Denmark Why move to Denmark? What to be prepared for? And how to create a network? Meet Kathryn from the U.S., Senthil from India and Rob from the Netherlands, who will tell their personal story about moving to Denmark. We will follow these three expats during the next three weeks. When did you move to Denmark and why? Kathryn: I came here 3,5 years ago to study. I switched over from architecture school in the US after about a year to study “Bygningskonstruktion”. When I came to Denmark I knew no Danish at all and now I am a Bygningskonstruktør. Kathryn: The summer... *laughing* Senthil: My full name is Senthil Gnanasambandan - it's probably the first thing that we talk about: my last name. That's not easy for Danes to pronounce – it's the same for us to pronounce Ø and Æ. I came to Denmark in July 2016 along with my wife and son. We were living in Singapore and then we came to Denmark because I got a job at Ørsted. I am now working there as Department Manager. My wife is currently working for an IT firm. She has been struggling to find a job initially and after a long struggle she finally found her current job five months ago. And then the winter came? Kathryn: That was my experience: I visited Denmark in the summer and I was like 'oh it's so wonderful' and then came my first year in the winter and I was like 'Why is everything so dark?' It was really an adjustment. Senthil: I think my first winter was not that bad, but that was because we came in July, so we were getting used to the place. The time difference between Singapore and Denmark was quite a lot – 6-7 hours, so we were sleeping early in the evenings. Therefore, we didn't really have a transition as we continued to sleep early because it was really dark at 77.30 for the whole winter, so in that way, we survived the winter. We were not quite prepared for the following winter. We could actually feel that our energy level was going down, because of lack of sun during the winter, but otherwise it was quite okay. Rob: I was living in London and I came here the 1st of October, and it was a snow blizzard and it was dark and it was cold. So, the first winter wasn't too good and I was like 'Okay, what just happened there - it is not even that far'. But it is also a good thing, I suppose, because I like pub life, so I just tried to find myself a good and proper pub. to have such colleagues because typically you spend a lot of time with them, so it is really important for me that you do this Friday beer from time to time. It took a little bit to get there, but again, it's not easy to have everyone to be available on every weekend. Then you got to keep trying. “The theme is persistence. If you want to make friends, you have to be really persistent.” What did you do to create a network in Denmark? Senthil: To be honest, from a networking aspect, I really had a shock when I first came into the company. I was quite popular at my previous company to arrange some Friday beers. During Friday evenings at 5.30, I gathered a few people and then we had a couple of beers. The first Friday here, I wrote emails to 5-6 guys that I knew in the office, and everyone said ‘Sorry, I'll pass because I have a late appointment’, so there were none who seemed to have any interest towards getting this new guy into their workgroup. Senthil and his colleagues from Ørsted. Kathryn: Definitely, the theme is persistence. If you want to make friends, you have to be really persistent. And you have to make a really big effort to get out and meet people. When I first came here, I felt really lonely. Then after I started going out and met people more often, I felt way less lonely and more comfortable living here. Rob: I joined a badminton club around the corner and played 3-4 times a week. That helped. And I worked for Royal Shell, these days, a very international company, and we were going out every Friday, just for a few. There were 800 members in the badminton club and they had loads of social activities, such as “julefrokost”, championships, and before I knew it, I was tracked into every single organisation committee. And that basically made sure that I met a lot of people. started chatting with me. They were like 'uh, you're American'. People in Slagelse are actually much more chatty than in Copenhagen, I would say. There is this kind of small talk that Americans love. I feel like I really grounded myself in Slagelse – I know people. There is definitely a community vibe, which I really like. “I think it is easier in the sub urban areas: they really tend to spend time to talk to you and know you better than in the city.” Did you experience a difference from Copenhagen? Kathryn: Yes definitely. I would say that it's like New York City where people are in their own world, they are on the streets in their own bubble. I think it is really normal. And then, of course, me moving out to a more isolated area, people are much more friendly and they see you more often so they get to know you. Senthil: I think it is easier in the suburban areas: they really tend to spend time to talk to you and know you better than in the city, where people are extremely busy and in their own life. That is also why we prefer to live in a suburban and not live in the city. Photo by Gormfoto. Kathryn representing her workplace (EBK Huse) at DHL in Odense.